The Gracilaria Vermiculophylla is a beautiful algae species which we are able to offer you new from the Gracileria family. 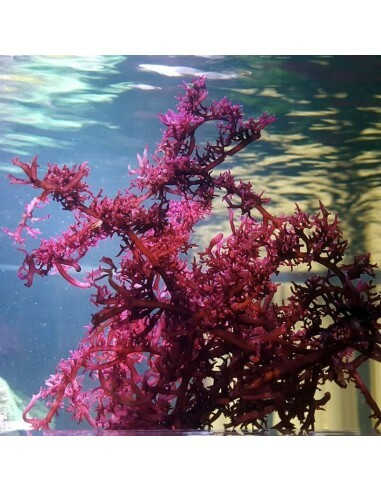 It is a striking red algae species, which is a perfect addition to any reef tank display and the Seahorse tank as it is a non-invasive algae which offers additional natural holdfasts. It features long red branches which will become more dense in stronger light. This colour of the Gracilaria Vermiculophylla algae will vary depending on the light its get. Its red colour will become darker when it gets less light, and brighter when it gets more light. Gracillaria Vermiculophylla is somewhat palatable for herbivorous fishes, therefore we recommended to keep it in a safe place until you like to offer it as additional food to your fishes. 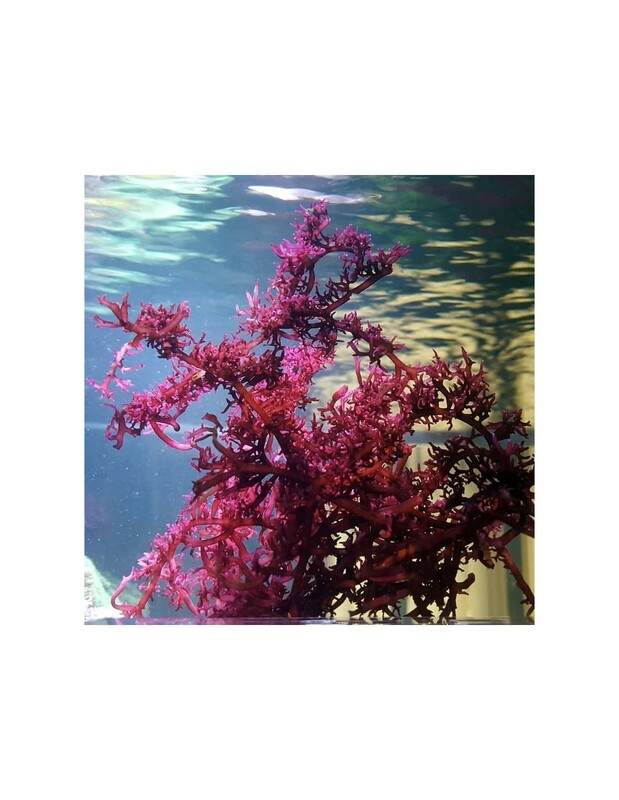 As this red macroalgae species won't easily attach itself it can be easily glued ( we use thick cyanoacrylate super glue ) to rock where you like to have it. This is a very hardy marine macro algae and therefore highly recommended for most marine tanks. Hi i want an Seahorse aquarium with various macroalgae but I'm told Hippocampus erectus do better at 22c temperature so can algae survive this temp also 1.022 salinity?. Hello. It depends on what macro algae you are looking for. Most algae species prefer a min. temperature from 23-24 C. But we kept some algae species for a while with a lower temperature ( around 21 C ) for a test and noticed that they survived, but the growth rate was much slower. We never tested our marine algae with such a low salinity so. We recommend for most species to keep a stable salinity between 1.024 to 1.026. Maybe our algae starter pack would be a good solution for you? This way you could test by yourself how they do without investing a lot of money. Let us know if we can help you further with this. Satisfied with everything that was sent. The macro algae was a nice size specimen and looks very healthy.